People First: May 2007 The tipping point that changed Scotland for the better and passed Wales by. May 2007 The tipping point that changed Scotland for the better and passed Wales by. In 2007 the national elections in Wales and Scotland both produced a result of "no overall" control. In Scoltand the result was the first SNP Government of Scotland and a minority government which excluded the Labour party from power and ruled with the co-operation of ,at various times, of all the other Parties, including Conservatives. After this the decline in Labour's support in Scotland became unstoppable, as their dominance was shattered and the SNP achieved a reputation for good government which they have retained since. In Wales the result could have been a Rainbow coalition led by Plaid which also would have excluded Labour from power. In fact, due to leading Plaid Members deciding to do a deal with Labour instead, Labour were strengthened and Plaid weakened. The end result for Plaid was losing electoral support and the position of Wales' second Party. The end result for Wales was yet more mediocre Labour Governments. Now, looking at both governments a coalition with the Liberals could have given Labour a solid majority coalition in Wales but in Scotland they needed a second party of 3 or more members to join to get a majority. The independent member was the nationalist Margo McDonald, not likely to help, and even with both greens they would have fallen short. However, in both administrations the Liberals were not playing ball with the Labour Party having become unhappy with the results of the previous arrangements. In Wales a different thing happened. A "rainbow coalition" of all the opposition parties was proposed. Plaid would, as the largest party of the coalition, lead the show and Ieuan Wyn Jones, Plaid's leader ,would be first minister. Again, there would have been a tremendous political advantage for all the other parties. There was considerable popular support for this option but the Liberal Democrat Executive meeting split 50/50 on the subject and called a special conference to decide the issue, delaying matters. When that special conference met it endorsed the rainbow coalition. However, in the meantime a group of Plaid assembly members and one of their MP's ,Adam Price, had formed a group to negotiate a deal between Plaid and Labour , Although we know who these people were, why they so strongly preferred Labour is not so clear publicly other than their rather underdeveloped ideological objection to working with the Conservatives and their reluctance to be nasty to Labour. "We fought this election on a platform to deliver a proper Parliament for our nation. A deal with the Conservatives would undermine the chance of delivering that goal." How do Conservatives make parliaments improper? Are they really more unionist than the Labour Party who, in 2014 magnificently sacrificed themselves in Scotland to keep the Union for a few more years? If any of you ladies ever read this, please expand your arguments in the comment section! Of all the Unionist parties, the only one to not "go native" in the Sennedd is Labour, who think they can win every time and have led every government so far. The other parties are sold on the advantages of a degree of proportional representation without which they would have little repesentation. In every group of humans there are varying political views and always will be. In government at every level there is also a considerable degree of cross party consensus. Maybe it was all just too hard and too difficult? When the insiders finally spill the beans, I suspect it will make a much better drama/documentary than the Cameron- Clegg engagement did. 1. You should always make a coalition with the largest party. 2. The Liberal Democrats are always unreliable. 3. The Conservatives are so right wing you should never, ever work with them. 5. Plaid has no experience of government and needs prior ministerial experience to form a competent government eventually. 6. With a Labour Government in Westminster, any coalition without Labour would be under constant political attack. Was it just because the majority of Plaid AM's were convinced it was easier and ideologically better? 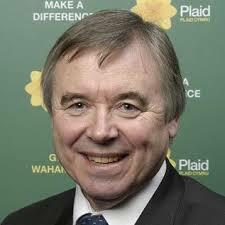 Did Ieuan Wyn Jones lose his nerve... or was he stabbed in the back ? So it was a done deal, I suspect that if the Plaid branches and membership had been properly consulted prior to the decision to negotiate with Labour ,it would have been different outcome. The pro Labour group I think, knew that well. To most members, getting Labour out of government and getting a Plaid First Minister was more important than ideological differences in a coalition. .Labour would have been broken, possibly permanently, as they were in Scotland. As it was, Plaid ended up diminished. Are we sliding into the same scenario where there is only one option for Plaid despite the consequences of the last coalition? As Einstein said, his definition of insanity is repeating the same action and expecting a different result. I believe it was primarily about getting primary law making powers and winning the referendum in 2011. Was that possible without Labour? Probably not. In a way, Plaid sacrificed its electoral fortunes for the good of Wales. Is independence possible with Labour? The big difference between Wales and Scotland is that the anti Labour votes became concentrated on the SNP. In Wales they have been split between other political parties that has allowed Labour to govern (badly) on a low percentage of the vote. Divide and rule. The best example of this being LLanelli where some 2000 anti Labour votes moved away from Plaid to a 5th candidate, thereby allowing Labour to regain the seat. Chances are those people moved away from Plaid in Llanelli because the party had lost touch (if it ever really had it) with ordinary people and their needs and aspirations. Clem, The end result of the loss of 2000 anti Labour votes to a spread of other parties was that was that Labour won and as a consequence Labour scraped another 4 miserable years in Cardiff bay. Wales has got to shift Labour out of power - to break the mould compromises will have to be made. For those who are mystified by the references to the "Fifth Party" it was me standing under the Party Label "Putting Llanelli First". Although we've always called ourselves People First / Gwerin Gyntaf we were not allowed by the Electoral Commission to use that name in 2011 as an English local government party also used the name People first. Subsequently regulations changed and we were able to use our name as a party in Wales only , which suits us fine. This time round there is already a Green and a UKIP candidate selected so we are looking at 7 or more parties. Thanks for your email. As the lead negotiator for the Lib Dems I can provide some information. The actual negotiations went well and we produced an agreement fairly quickly. The other negotiators were Adam Price and David Melding. David is on the "softer"
the coalition deal. It is interesting to compare with Scotland, where SNP embraced power at the first opportunity and have prospered, while Plaid accepted being the junior partner in a coalition, and have stagnated. So from Jenny's point of view Plaid chose Labour as their coalition partners in order to be sure to get legislative powers but actually UK Labour blocked it .In the end the Liberal Democrats got Wales the referendum which gave us Legislative powers through their coalition with the Conservatives.So David Cameron ended up delivering the referendum and so more powers for Wales as the result of a coalition in which the larger party kept that promise. However, Labour actually failed to deliver on the same issue despite their promises to Plaid. All that grief for nothing in the end. How about a Voice in our own Health Care? The Assembly - what are voting for?